Are you tired of our worn-out, 60-year-old tiger and sloth bear exhibits? So are we! That's why we're embarking on the biggest extreme makeover here at the zoo since the 1990s to build a new, state-of-the-art, 2-acre exhibit complex for Malayan tigers, sloth bears, small-clawed otters, tropical birds and so much more! 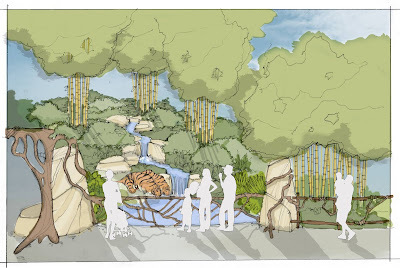 Future plans for Woodland Park Zoo's all new, naturalistic tiger exhibit complex. If you love animals, you'll love the new experience we're designing. You should see the plans! The exhibit complex will also play a crucial role in inspiring people to help save wild tigers whose future is in serious jeopardy. Malayan tiger. Photo by Melinda Arnold/Dickerson Park Zoo. But we can't build it without you. Literally. If you've ever done any remodeling you know it's expensive. And we only have until May 25 to raise enough money to start construction on Phase One of the exhibit complex (which will include an exhibit of adorable small-clawed otters and a play space for children)! 1. Give $10 for tigers. It’s that easy. Then just. . .
2. Tell 10 friends. We need your help to spread the word. Please click here and using the built-in sharing tools, share this opportunity with your friends and ask them to join you in helping tigers by starting at Step 1. Or use the share buttons on this blog to spread the word far and wide! Your gift is needed urgently! We have $200,000 left to raise to hire contractors and start construction on Phase One of this massive effort. A local family has pledged $100,000 toward that if we raise the other $100,000 by midnight on Friday, May 25. Many have already given, so please join us and make your gift right now! And yes, your $10 will make a difference. Every dollar counts! We'll run a series of exciting exhibit updates and give you an inside look at how our plans are coming along throughout the month of May as part of our Give Ten for Tigers effort. Anytime you learn something that inspires you, please share it with your friends and we'll get the word out about this important effort across the community and beyond. 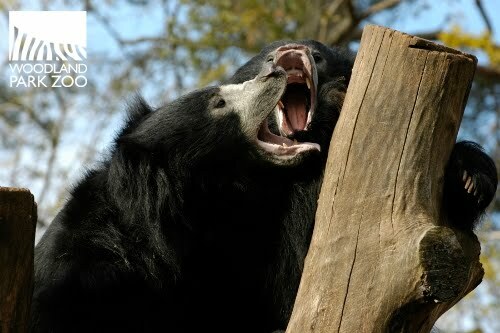 Sloth bears will get a new home with your help. Photo by Dennis Dow/Woodland Park Zoo. Our endangered tigers and sloth bears really need a new home. 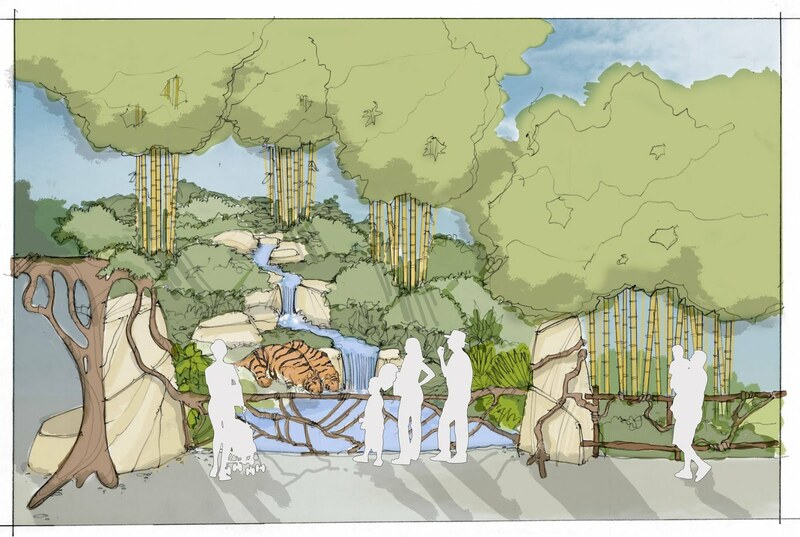 Together we'll build an incredible, innovative new exhibit complex and help save endangered tigers in the wild. Plus, everyone who gives will be listed on the tiger-shaped list of donors that we'll put up on zoo grounds to show our appreciation! Learn more about this innovative project and how the zoo you love is helping save wild tigers (and how you can too). Plus, find out how you can get your name in our exhibit and even start your own fundraising campaign. Thanks for giving ten for tigers! Together, we can make this happen.